Filters for black and white photography perform a variety of filtration effects including contrast control, enhanced skin tones, tonal corrections and more dramatic landscapes. Although originally intended for use with black and white film, these filters can also be used as a creative tool in color imaging. 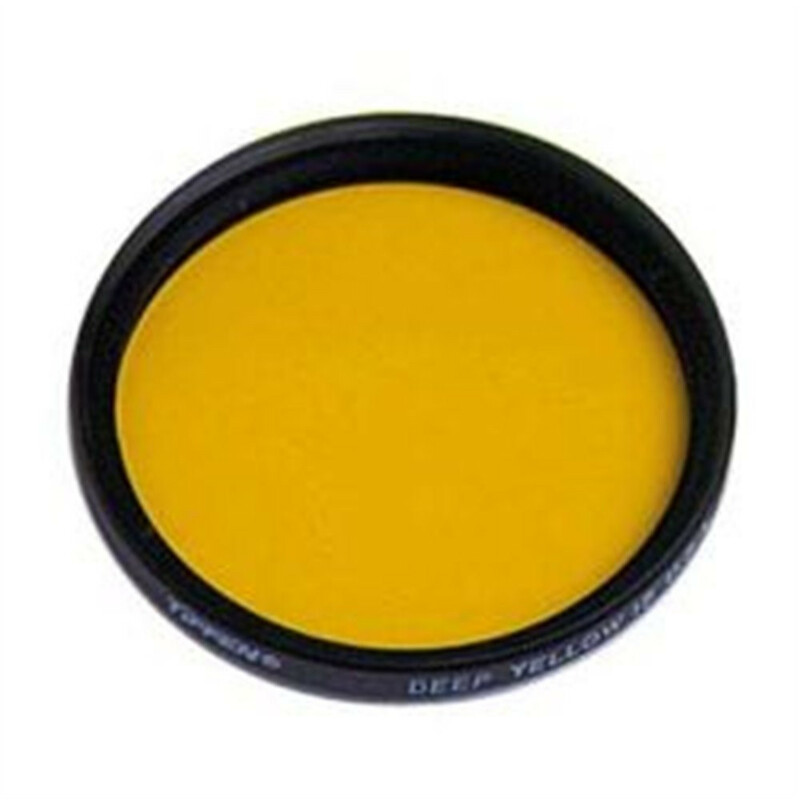 This medium yellow filter offers the most correct tonal range contrast to produce natural clouds against blue skies. "Minus blue" cuts haze in aerial work; reduces excess blue of full moon in astrophotography. Recommended as a basic filter for use with Kodak Aero Ektachrome Infrared film.